Social scientists began to adopt the scientific method to make sense of the rapid changes accompanying modernization and industrialization. Beginning in the 17th century, observation-based natural philosophy was replaced by natural science, which attempted to define and test scientific laws. Social science continued this trend, attempting to find laws to explain social behavior, which had become problematic with the decline of tradition and the rise of modernity and industrialization. Sociology is not a homogeneous field; it involves tensions between quantitative and qualitative sociology, positivist and interpretive sociology, and objective and critical sociology. The first thinkers to attempt to combine scientific inquiry with the exploration of human relationships were Emile Durkheim in France and William James in the United States. Social science adopted quantitative measurement and statistical methods from natural science to find laws of social behavior, as demonstrated in Emile Durkheim’s book Suicide. But sociology may also use qualitative methods. Positivist sociology (also known as empiricist) attempts to predict outcomes based on observed variables. Interpretive sociology (which Max Weber called verstehen, German for “understanding”) attempts to understand a culture or phenomenon on its own terms. Sociology embodies several tensions, such as those between quantitative and qualitative methods, between positivist and interpretive orientations, and between objective and critical approaches. Objective sociology tries to explain the world; critical sociology tries to change it. Critical sociology: Critical theory is a school of thought that stresses the examination and critique of society and culture, drawing from knowledge across the social sciences and humanities. Positivist sociology: The overarching methodological principle of positivism is to conduct sociology in broadly the same manner as natural science. An emphasis on empiricism and the scientific method is sought to provide a tested foundation for sociological research based on the assumption that the only authentic knowledge is scientific knowledge, and that such knowledge can only arrive by positive affirmation through scientific methodology. In ancient philosophy, there was no difference between the liberal arts of mathematics and the study of history, poetry, or politics; only with the development of mathematical proofs did there gradually arise a perceived difference between scientific disciplines and the humanities or liberal arts. Thus, Aristotle studied planetary motion and poetry with the same methods, and Plato mixed geometrical proofs with his demonstration on the state of intrinsic knowledge. However, by the end of the 17th century, a new scientific paradigm was emerging, particularly with the work of Isaac Newton in physics. Newton, by revolutionizing what was then called natural philosophy, changed the basic framework by which individuals understood what was scientific. While Newton was merely the archetype of an accelerating trend, his work highlights an important distinction. For Newton, mathematical truth was objective and absolute: it flowed from a reality independent of the observer and it worked by its own rules. Mathematics was the gold standard of knowledge. In the realm of other disciplines, this created a pressure to express ideas in the form of mathematical relationships, or laws. Such laws became the model that other disciplines would emulate. In the late 19th century, scholars increasingly tried to apply mathematical laws to explain human behavior. Among the first efforts were the laws of philology, which attempted to map the change over time of sounds in a language. At first, scientists sought mathematical truth through logical proofs. But in the early 20th century, statistics and probability theory offered a new way to divine mathematical laws underlying all sorts of phenomena. As statistics and probability theory developed, they were applied to empirical sciences, such as biology, and to the social sciences. The first thinkers to attempt to combine scientific inquiry with the exploration of human relationships were Emile Durkheim in France and William James in the United States. Durkheim’s sociological theories and James’s work on experimental psychology had an enormous impact on those who followed. 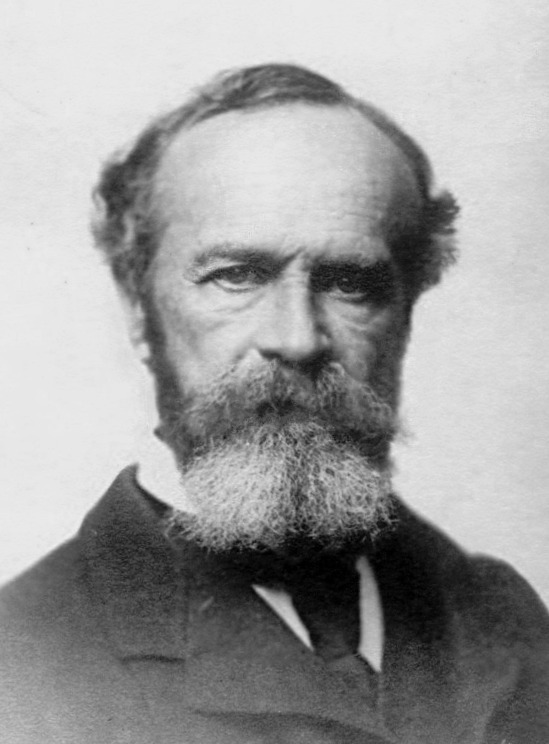 William James: William James was one of the first Americans to explore human relations scientifically. Sociology embodies several tensions, such as those between quantitative and qualitative methods, between positivist and interpretive orientations, and between objective and critical approaches. Positivist sociology (also known as empiricist) attempts to predict outcomes based on observed variables. Interpretive sociology attempts to understand a culture or phenomenon on its own terms. Early sociological studies considered the field to be analogous to the natural sciences, like physics or biology. Many researchers argued that the methodology used in the natural sciences was perfectly suited for use in the social sciences. By employing the scientific method and emphasizing empiricism, sociology established itself as an empirical science and distinguished itself from other disciplines that tried to explain the human condition, such as theology, philosophy, or metaphysics. Early sociologists hoped to use the scientific method to explain and predict human behavior, just as natural scientists used it to explain and predict natural phenomena. Still today, sociologists often are interested in predicting outcomes given knowledge of the variables and relationships involved. This approach to doing science is often termed positivism or empiricism. The positivist approach to social science seeks to explain and predict social phenomena, often employing a quantitative approach. But human society soon showed itself to be less predictable than the natural world. Scientists like Wilhelm Dilthey and Heinrich Rickert began to catalog ways in which the social world differs from the natural world. For example, human society has culture, unlike the societies of most other animals, which are based on instincts and genetic instructions that are passed between generations biologically, not through social processes. As a result, some sociologists proposed a new goal for sociology: not predicting human behavior, but understanding it. Max Weber and Wilhelm Dilthey introduced the concept of verstehen, or understanding. The goal of verstehen is less to predict behavior than it is to understand behavior. It aims to understand a culture or phenomenon on its own terms rather than trying to develop a theory that allows for prediction. Sociology’s inability to perfectly predict the behavior of humans has led some to label it a “soft science. ” While some might consider this label derogatory, in a sense it can be seen as an admission of the remarkable complexity of humans as social animals. And, while arriving at a verstehen-like understanding of a culture adopts a more subjective approach, it nevertheless employs systematic methodologies like the scientific method. Both positivist and verstehen approaches employ a scientific method as they make observations and gather data, propose hypotheses, and test their hypotheses in the formulation of theories. One of the most influential early figures in sociology was Auguste Comte who proposed a positivist sociology with a scientific base. 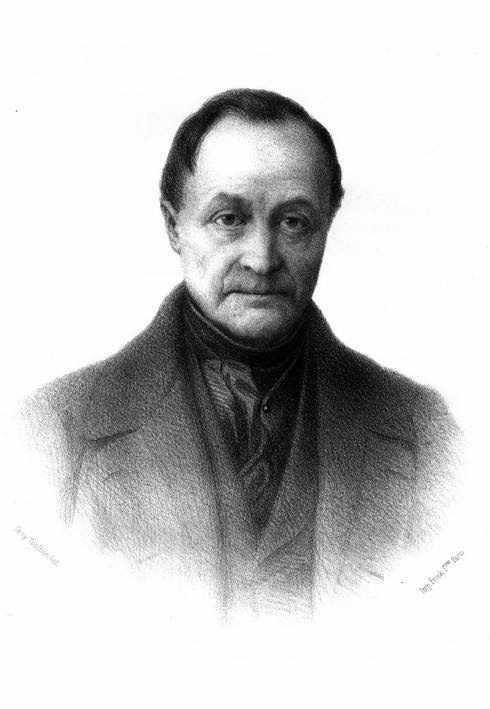 Auguste Comte was one of the founders of sociology and coined the term sociology. Comte believed sociology could unite all sciences and improve society. Comte was a positivist who argued that sociology must have a scientific base and be objective. Comte theorized a three-stage development of society. In sociology, scientific methods may include quantitative surveys or qualitative cultural and historical analysis. One common scientific method in sociology is the survey. Law of Three Stages: The Law of Three Stages is an idea developed by Auguste Comte. It states that society as a whole, and each particular science, develops through three mentally conceived stages: (1) the theological stage, (2) the metaphysical stage, and (3) the positive stage. positivism: A doctrine that states that the only authentic knowledge is scientific knowledge, and that such knowledge can only come from positive affirmation of theories through strict scientific method, refusing every form of metaphysics. Auguste Comte: Isidore Auguste Marie François Xavier Comte (19 January 1798 – 5 September 1857), better known as Auguste Comte was a French philosopher. He was a founder of the discipline of sociology and of the doctrine of positivism. Auguste Comte is considered one of the founders of sociology. He coined the term “sociology” in 1838 by combining the Latin term socius (companion, associate) and the Greek term logia (study of, speech). Comte hoped to unify all the sciences under sociology. He believed sociology held the potential to improve society and direct human activity, including the other sciences. His ambition to unify the sciences was not unique. Other thinkers of the nineteenth century (for example, Herbert Spencer) held similar goals. This period was a key turning point in defining disciplinary boundaries. In sociology’s early days, disciplinary boundaries were less well defined than today. Many classical theorists of sociology (including Karl Marx, Ferdinand Toennies, Emile Durkheim, Vilfredo Pareto, and Max Weber) were trained in other academic disciplines, including history, philosophy, and economics. The diversity of their trainings is reflected in the topics they researched and in the occasional impulse to unify the sciences in a universal explanation of human life. One of Comte’s central questions was how societies evolve and change, which is known as social dynamics. He also studied the trends in society which do not change, which is known as social statics. Sociology today draws on these categories, though few sociologists have continued on Comte’s theoretical work in this line. While his theory is no longer employed in sociology, Comte, like other Enlightenment thinkers, believed society developed in stages. He argued for an understanding of society he labeled “The Law of Three Stages. ” The first was the theological stage where people took a religious view of society. The second was the metaphysical stage where people understood society as natural rather than supernatural. Comte’s final stage was the scientific or positivist stage, which he believed to be the pinnacle of social development. In the scientific stage, society would be governed by reliable knowledge and would be understood in light of the knowledge produced by science, primarily sociology. While Comte’s approach is today considered a highly simplified and ill-founded way to understand social development, it nevertheless reveals important insights into his thinking about the way in which sociology, as part of the third stage, would unite the sciences and improve society. Auguste Comte: Auguste Comte was one of the founding figures of sociology. Neither his vision of a unified science nor his three-stage model have stood the test of time. Instead, today, Comte is remembered for imparting to sociology a positivist orientation and a demand for scientific rigor. As explained in the previous section, early sociological studies drew an analogy from sociology to the natural sciences, such as physics or biology. Many researchers argued that sociology should adopt the scientific methodology used in the natural sciences. This scientific approach, supported by Auguste Comte, is at the heart of positivism, a methodological orientation with a goal that is rigorous, objective scientific investigation and prediction. Since the nineteenth century, the idea of positivism has been extensively elaborated. Though positivism now has wider range of meanings than Comte intended, belief in a scientifically rigorous sociology has, in its essence, been carried on. The scientific method has been applied to sociological research across all facets of society, including government, education, and in the economy. Today, sociologists following Comte’s positivist orientation employ a variety of scientific research methods. Unlike natural scientists, sociologists rarely conduct experiments, since limited research resources and ethical guidelines prevent large-scale experimental manipulation of social groups. Still, sometimes sociologists are able to conduct field experiments. Though quantitative methods, such as surveys, are most commonly associated with positivism, any method, quantitative or qualitative, may be employed scientifically. Harriet Martineau was an English social theorist and Whig writer, often cited as the first female sociologist. Although today Martineau is rarely mentioned, she was critical to the early growth of sociology. Martineau is notable for her progressive politics. She introduced feminist sociological perspectives in her writing and addressed overlooked issues such as marriage, children, domestic life, religious life, and race relations. In 1852, Martineau translated the works of Auguste Comte, who had coined the term sociology. Through this process, she both clarified his work and made it accessible to English readers. Martineau’s reflections on Society in America, published in 1837, are prime examples of her approach to what would later be known as sociological methods. Harriet Martineau: Harriet Martineau (12 June 1802 – 27 June 1876) was an English social theorist and Whig writer, often cited as the first female sociologist. Harriet Martineau (12 June 1802 – 27 June 1876) was an English social theorist and Whig writer, often cited as the first female sociologist. Although today Martineau is rarely mentioned, she was critical to the early growth of the sociological discipline. Martineau wrote 35 books and a multitude of essays from a sociological, holistic, religious, domestic, and, perhaps most significantly, feminine perspective. She earned enough to be supported entirely by her writing, a challenging feat for a woman in the Victorian era. As a theorist, she believed that a thorough societal analysis was necessary to understand the status of women. She is notable for her progressive politics. Martineau introduced feminist sociological perspectives in her writing and addressed overlooked issues such as marriage, children, domestic life, religious life, and race relations. Harriet Martineau, 1802-1876: Harriet Martineau introduced Comte to the English-speaking world by translating his works. Although Auguste Comte is credited with launching the science of sociology, he might have been forgotten were it not for Martineau, who translated Comte’s 1839 text, Cours de Philosophie Positive, from French into English. As she translated this piece, she also condensed Comte’s work into clearer, more accessible terms. In 1853, her translation was published in two volumes as The Positive Philosophy of Auguste Comte. Her translation so dramatically improved the work that Comte himself suggested his students read her translations rather than his original work. Most significantly, her translation brought Comte’s works to the English-speaking world. As early as 1831, Martineau wrote on the subject of “Political Economy” (as the field of economics was then known). Her goal was to popularize and illustrate the principles of laissez faire capitalism, though she made no claim to original theorizing. 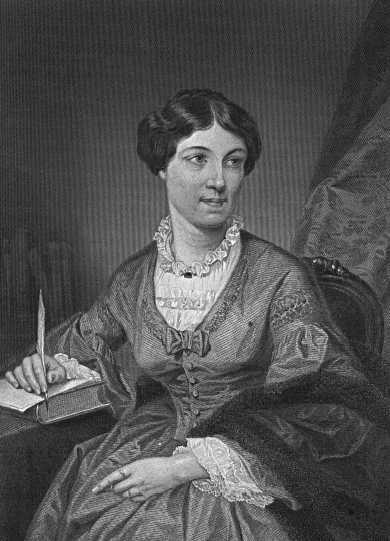 Martineau’s reflective writing, published in Society in America in 1837, are prime examples of her approach to what would eventually be known as sociological methods. Her ideas in this field were set out in her 1838 book, How to Observe Morals and Manners. She believed that some very general social laws influenced the life of any society, including the principle of progress, the emergence of science as the most advanced product of human intellectual endeavors, and the significance of population dynamics and the natural physical environment. 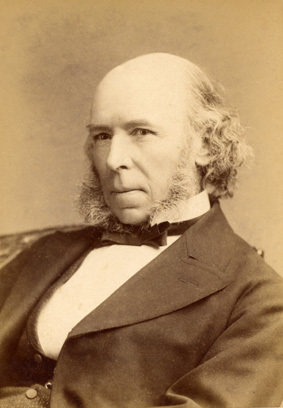 Herbert Spencer created what he called “sociology,” a synthetic philosophy that tried to find a set of rules explaining social behavior. According to Spencer’s synthetic philosophy, the laws of nature applied without exception to the organic realm as much as the inorganic, and to the human mind as much as the rest of creation. Spencer conceptualized society as a “social organism” that evolved from a simpler state to a more complex one, according to the universal law of evolution. survival of the fittest: Natural selection. Social Darwinism: a theory that the laws of evolution by natural selection also apply to social structures. Though Auguste Comte coined the term ” sociology,” the first book with the term sociology in its title was written in the mid-19th century by the English philosopher Herbert Spencer. Following Comte, Spencer created a synthetic philosophy that attempted to find a set of rules to explain everything in the universe, including social behavior. Like Comte, Spencer saw in sociology the potential to unify the sciences, or to develop what he called a “synthetic philosophy. ” He believed that the natural laws discovered by natural scientists were not limited to natural phenomena; these laws revealed an underlying order to the universe that could explain natural and social phenomena alike. According to Spencer’s synthetic philosophy, the laws of nature applied to the organic realm as much as to the inorganic, and to the human mind as much as to the rest of creation. Even in his writings on ethics, he held that it was possible to discover laws of morality that had the same authority as laws of nature. This assumption led Spencer, like Comte, to adopt positivism as an approach to sociological investigation; the scientific method was best suited to uncover the laws he believed explained social life. But Spencer went beyond Comte, claiming that not only the scientific method, but scientific knowledge itself was universal. He believed that all natural laws could be reduced to one fundamental law, the law of evolution. Spencer posited that all structures in the universe developed from a simple, undifferentiated homogeneity to a complex, differentiated heterogeneity, while being accompanied by a process of greater integration of the differentiated parts. This evolutionary process could be found at work, Spencer believed, throughout the cosmos. It was a universal law, applying to the stars and the galaxies as much as to biological organisms, and to human social organization as much as to the human mind. Thus, Spencer’s synthetic philosophy aimed to show that natural laws led inexorably to progress. He claimed all things—the physical world, the biological realm, and human society—underwent progressive development. In a sense, Spencer’s belief in progressive development echoed Comte’s own theory of the three-stage development of society. However, writing after important developments in the field of biology, Spencer rejected the ideological assumptions of Comte’s three-stage model and attempted to reformulate the theory of social progress in terms of evolutionary biology. Following this evolutionary logic, Spencer conceptualized society as a “social organism” that evolved from a simpler state to a more complex one, according to the universal law of evolution. This social evolution, he argued, exemplifed the universal evolutionary process from simple, undifferentiated homogeneity to complex, differentiated heterogeneity. As he elaborated the theory, he proposed two types of society: militant and industrial. Militant society, structured around relationships of hierarchy and obedience, was simple and undifferentiated. Industrial society, based on voluntary behavior and contractually assumed social obligations, was complex and differentiated. Spencer questioned whether the evolution of society would result in peaceful anarchism (as he had first believed) or whether it pointed to a continued role for the state, albeit one reduced to minimal functions—the enforcement of contracts and external defense. Spenser believed, as society evolved, the hierarchical and authoritarian institutions of militant society would become obsolete. Spencer is perhaps best known for coining the term “survival of the fittest,” later commonly termed “social Darwinism.” But, popular belief to the contrary, Spencer did not merely appropriate and generalize Darwin’s work on natural selection; Spencer only grudgingly incorporated Darwin’s theory of natural selection into his preexisting synthetic philosophical system. Spencer’s evolutionary ideas were based more directly on the evolutionary theory of Lamarck, who posited that organs are developed or diminished by use or disuse and that the resulting changes may be transmitted to future generations. Spencer believed that this evolutionary mechanism was necessary to explain ‘higher’ evolution, especially the social development of humanity. Moreover, in contrast to Darwin, Spencer held that evolution had a direction and an endpoint—the attainment of a final state of equilibrium. Evolution meant progress, improvement, and eventually perfection of the social organism. Though Spencer is rightly credited with making a significant contribution to early sociology, his attempt to introduce evolutionary ideas into the realm of social science was ultimately unsuccessful. It was considered by many to be actively dangerous. Critics of Spencer’s positivist synthetic philosophy argued that the social sciences were essentially different from the natural sciences and that the methods of the natural sciences—the search for universal laws was inappropriate for the study of human society. Marx focuses on explaining class conflict due to the means of production, which he posited was the driving force behind social evolution. Marx sees society evolving through stages. He focuses on dialectical class conflict to control the means of production as the driving force behind social evolution. According to Marx, society evolves through different modes of production in which the upper class controls the means of production and the lower class is forced to provide labor. In Marx’s dialectic, the class conflict in each stage necessarily leads to the development of the next stage (for example, feudalism leads to capitalism ). Marx was especially critical of capitalism and foresaw a communist revolution. Marx predicted that class conflict between the bourgeoisie and the proletariat would lead to capitalism’s downfall. According to Marx, under capitalism, workers (the proletariat) must alienate their labor. The bourgeoisie try to preserve capitalism by promoting ideologies and false consciousness that keep workers from revolting. Marx’s understanding of history is called historical materialism because it focuses on history and material (versus ideas). false consciousness: A faulty understanding of the true character of social processes due to ideology. dialectical: Of, relating to, or of the nature of logical argumentation. Marx, one of the principle architects of modern social science, believed that history was made of up stages driven by class conflict. Famously, Marx wrote in The Communist Manifesto, “The history of all hitherto existing society is the history of class struggles. ” Class struggle pushed society from one stage to the next, in a dialectical process. In each stage, an ownership class controls the means of production while a lower class provides labor for production. The two classes come into conflict and that conflict leads to social change. For example, in the feudal stage, feudal lords owned the land used to produce agricultural goods, while serfs provided the labor to plant, raise, and harvest crops. When the serfs rose up and overthrew the feudal lords, the feudal stage ended and ushered in a new stage: capitalism. According to Marx, the way society is organized depends on the current means of production and who owns them. The means of production include things that are necessary to produce material goods, such as land and natural resources. They also include technology, such as tools or machines, that people use to produce things. The means of production in any given society may change as technology advances. In feudal society, means of production might have included simple tools like a shovel and hoe. Today, the means of production include advanced technology, such as microchips and robots. At different stages in history, different groups have controlled the means of production. In feudal times, feudal lords owned the land and tools used for production. Today, large corporations own many of the means of production. Different stages have different relations of production, or different forms of social relationships that people must enter into as they acquire and use the means of production. Throughout history, the relations of production have taken a variety of forms—slavery, feudalism, capitalism—in which employees enter into a contract with an employer to provide labor in exchange for a wage. Together, the means of production and the relations of production compose a particular period’s mode of production. Marx distinguished different historical eras in terms of their different modes of production. He believed that the mode of production was the defining element of any period in history, and he called this economic structure the base of that society. By contrast, he believed that the ideas and culture of a given stage were derived from the mode of production. He referred to ideas and culture as the “superstructure,” which grew up from the more fundamental economic “base. ” Because of his focus on the economic base over culture and ideas, Marx is often referred to as an economic determinist. In Marx’s dialectic, the class conflict in each stage necessarily leads to the development of the next stage. Marx was less interested in explaining the stable organization of any given historical stage than in explaining how society changed from one stage to the next. Marx believed that the class conflict present in any stage would necessarily lead to class struggle and, eventually, to the end of that stage and the beginning of the next. Feudalism ended with class struggle between serfs and lords, and gave rise to a new stage, capitalism. Marx’s work focused largely on explaining the inherent instabilities present in capitalism and predicting its eventual fall and transition to socialism. Marx argued that capitalism was unstable and prone to periodic crises. Marx believed that economic growth would be punctuated by increasingly severe crises as capitalism went through cycles of growth, collapse, and more growth. Moreover, he believed that in the long-term this process would necessarily enrich and empower the capitalist class, while at the same time it would impoverish the poorer laboring class, which he referred to as the proletariat. Eventually, the proletariat would become class conscious—aware that their seemingly individual problems were created by an economic system that disadvantaged all those who did not own the means of production. Once the proletariat developed a class consciousness, Marx believed, they would rise up and seize the means of production, overthrowing the capitalist mode of production, and bringing about a socialist society. Marx believed that the socialist system established after the proletariat revolution would encourage social relations that would benefit everyone equally, abolish the exploitative capitalist, ending their exclusive ownership of the means of production, and introduce a system of production less vulnerable to cyclical crises. For Marx, this eventual uprising was inevitable, given the inherent structural contradictions in capitalism and the inevitability of class conflict. Marx’s Communist Manifesto Illustrated by Cartoons: The Communist Manifesto gives an overview of Marx’s theory of class conflict and embraces his position that sociologists should also be publicly active social critics. In this video, the test of the manifesto is illustrated with cartoon clips that demonstrate the deep and enduring legacy of Marx’s philosophy for modern culture. Emile Durkheim studied how societies maintained social integration after traditional bonds were replaced by modern economic relations. Durkheim believed that society exerted a powerful force on individuals. According to Durkheim, people’s norms, beliefs, and values make up a collective consciousness, or a shared way of understanding and behaving in the world. The collective consciousness binds individuals together and creates social integration. Durkheim saw increasing population density as a key factor in the advent of modernity. As the number of people in a given area increase, so does the number of interactions, and the society becomes more complex. As people engage in more economic activity with neighbors or distant traders, they begin to loosen the traditional bonds of family, religion, and moral solidarity that had previously ensured social integration. Durkheim worried that modernity might herald the disintegration of society. Simpler societies are based on mechanical solidarity, in which self-sufficient people are connected to others by close personal ties and traditions. Modern societies are based on organic solidarity, in which people are connected by their reliance on others in the division of labor. Although modern society may undermine the traditional bonds of mechanical solidarity, it replaces them with the bonds of organic solidarity. In the Elementary Forms of Religious Life, Durkheim presented a theory of the function of religion in aboriginal and modern societies and described the phenomenon of collective effervescence and collective consciousness. Durkheim has been called a structural functionalist because his theories focus on the function certain institutions (e.g., religion) play in maintaining social solidarity or social structure. organic solidarity: It is social cohesion based upon the dependence individuals have on each other in more advanced societies. mechanical solidarity: It normally operates in “traditional” and small scale societies. In simpler societies (e.g., tribal), solidarity is usually based on kinship ties of familial networks. Along with Marx and Weber, French sociologist Emile Durkheim is considered one of the founders of sociology. One of Durkheim’s primary goals was to analyze how how modern societies could maintain social integration after the traditional bonds of family and church were replaced by modern economic relations. Durkheim believed that society exerted a powerful force on individuals. People’s norms, beliefs, and values make up a collective consciousness, or a shared way of understanding and behaving in the world. The collective consciousness binds individuals together and creates social integration. For Durkheim, the collective consciousness was crucial in explaining the existence of society: it produces society and holds it together. At the same time, the collective consciousness is produced by individuals through their actions and interactions. Society is a social product created by the actions of individuals that then exerts a coercive social force back on those individuals. Through their collective consciousness, Durkheim argued, human beings become aware of one another as social beings, not just animals. According to Durkheim, the collective consciousness is formed through social interactions. In particular, Durkheim thought of the close-knit interactions between families and small communities, groups of people who share a common religion, who may eat together, work together, and spend leisure time together. Yet all around him, Durkheim observed evidence of rapid social change and the withering away of these groups. He saw increasing population density and population growth as key factors in the evolution of society and the advent of modernity. As the number of people in a given area increase, he posited, so does the number of interactions, and the society becomes more complex. Population growth creates competition and incentives to trade and further the division of labor. But as people engage in more economic activity with neighbors or distant traders, they begin to loosen the traditional bonds of family, religion, and moral solidarity that had previously ensured social integration. Durkheim worried that modernity might herald the disintegration of society. Following a socioevolutionary approach reminiscent of Comte, Durkheim described the evolution of society from mechanical solidarity to organic solidarity. Simpler societies, he argued, are based on mechanical solidarity, in which self-sufficient people are connected to others by close personal ties and traditions (e.g., family and religion). Also, in such societies, people have far fewer options in life. Modern societies, on the other hand, are based on organic solidarity, in which people are connected by their reliance on others in the division of labor. Modernization, Durkheim argued, is based first on population growth and increasing population density, second on increasing “moral density” (that is, the development of more complex social interactions), and third, on the increasing specialization in work (i.e., the division of labor). Because modern society is complex, and because the work that individuals do is so specialized, individuals can no longer be self-sufficient and must rely on others to survive. Thus, although modern society may undermine the traditional bonds of mechanical solidarity, it replaces them with the bonds of organic solidarity. Further, Durkheim argued, the organic solidarity of modern societies might have advantages over traditional mechanical solidarity. In traditional societies, people are self-sufficient, and therefore society has little need for cooperation and interdependence. Institutions that require cooperation and agreement must often resort to force and repression to keep society together. Traditional mechanical solidarity may tend, therefore, to be authoritarian and coercive. In modern societies, under organic solidarity, people are necessarily much more interdependent. Specialization and the division of labor require cooperation. Thus, solidarity and social integration are necessary for survival and do not require the same sort of coercion as under mechanical solidarity. In organic solidarity, the individual is considered vitally important, even sacred. In organic solidarity, the individual, rather than the collective, becomes the focus of rights and responsibilities, the center of public and private rituals holding the society together—a function once performed by the religion. To stress the importance of this concept, Durkheim talked of the ” cult of the individual. ” However, he made clear that the cult of the individual is itself a social fact, socially produced; reverence for the individual is not an inherent human trait, but a social fact that arises in certain societies at certain times. Sociological Theory: Emile Durkhiem and Social Solidarity: Professor Dan Krier, of Iowa State University, explains Durkheim’s theories of social solidarity and modernity. Weber departed from positivist sociology, instead emphasizing Verstehen, or understanding, as the goal of sociology. Max Weber was a German sociologist and political economist who profoundly influenced social theory, social research, and the discipline of sociology itself. In The Protestant Ethic and the Spirit of Capitalism, his most enduring text, Weber proposed that ascetic Protestantism was one of the major “elective affinities ” associated with the rise of capitalism, bureaucracy, and the rational-legal nation- state in the Western world. Weber argued that Protestantism, and especially the ascetic Protestant or Calvinist denominations, had redefined the connection between work and piety. Weber tried to explain social action in modern society by focusing on rationalization and secularization. Weber also developed a theory of political authority and the modern state, defining three types of authority: traditional, charismatic, and rational-legal. predestination: The doctrine that everything has been foreordained by a God, especially that certain people have been elected for salvation, and sometimes also that others are destined for reprobation. Protestant Ethic and the Spirit of Capitalism: A book written by Max Weber, arguing that the rise in ascetic Protestantism, particularly denominations like Calvinism, was associated with the rise of modern capitalism in the West. secularization: The transformation of a society from close identification with religious values and institutions toward non-religious (or “irreligious”) values and secular institutions. Max Weber was a German sociologist and political economist who profoundly influenced social theory, social research, and the discipline of sociology itself. In 1919, he established a sociology department at the Ludwig Maximilian University of Munich. Along with Marx and Durkheim, Weber is considered one of the three principal forefathers of modern social science. That being said, Weber developed a unique methodological position that set him apart from these other sociologists. As opposed to positivists like Comte and Durkheim, Weber was a key proponent of methodological antipositivism. He presented sociology as a non-empiricist field whose goal was not to gather data and predict outcomes, but instead to understand the meanings and purposes that individuals attach to their own actions. In The Protestant Ethic and the Spirit of Capitalism, his most famous text, Weber proposed that ascetic Protestantism was one of the major “elective affinities” associated with the rise of capitalism, bureaucracy, and the rational-legal nation-state in the Western world. Although some consider Weber’s argument to be a study of religion, it can also be interpreted as an introduction to his later works, especially his studies of the interaction between various religious ideas and economic behavior. In contrast to Marx’s “historical materialism,” Weber emphasized how the cultural influences embedded in religion could be a means for understanding the genesis of capitalism. Weber viewed religion as one of the core forces in society. As evidence for his study, Weber noted that ascetic Protestantism and advanced capitalism tended to coincide with one another. Weber observed that, after the Reformation, Protestant countries such as the Netherlands, England, Scotland, and Germany gained economic prominence over Catholic countries such as France, Spain, and Italy. Furthermore, in societies with different religions, the most successful business leaders tended to be Protestant. 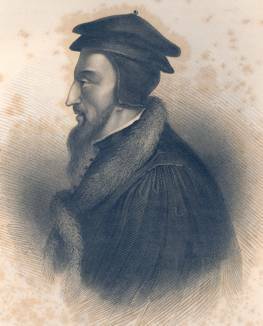 John Calvin, the first capitalist? : Weber saw an elective affinity between capitalism and Protestantism, especially Calvinism. To explain these observations, Weber argued that Protestantism, and especially the ascetic Protestant or Calvinist denominations, had redefined the connection between work and piety. Historically, Christian religious devotion had been accompanied by a rejection of mundane affairs, including economic pursuits. In contrast, Weber showed that certain types of Protestantism, notably Calvinism, supported worldly activities and the rational pursuit of economic gain. Because of the particularly Calvinist view of the world, these activities became endowed with moral and spiritual significance. In these religions, believers expressed their piety towards God through hard work and achievement in a secular vocation, or calling. Because of this religious orientation, human effort was shifted away from the contemplation of the divine and towards rational efforts aimed at achieving economic gain. Furthermore, the Protestant ethic, while promoting the pursuit of economic gain, eschewed hedonistic pleasure. Thus, believers were encouraged to make money, but not to spend it. This motivated believers to work hard, to be successful in business, and to reinvest their profits rather than spend them on frivolous pleasures. The Calvinist notion of predestination also meant that material wealth could be taken as a sign of salvation in the afterlife. Predestination is the belief that God has chosen who will be saved and who will not. Protestant believers thus reconciled, even encouraged, the pursuit of profit with religion. Instead of being viewed as morally suspect, greedy, or ambitious, financially successful believers were viewed as being motivated by a highly moral and respectable philosophy, the “spirit of capitalism. ” Eventually, the rational roots of this doctrine outgrew their religious origins and became autonomous cultural traits of capitalist society. Thus, Weber explained the rise of capitalism by looking at systems of culture and ideas. This theory is often viewed as a reversal of Marx’s thesis that the economic “base” of society determines all other aspects of it. 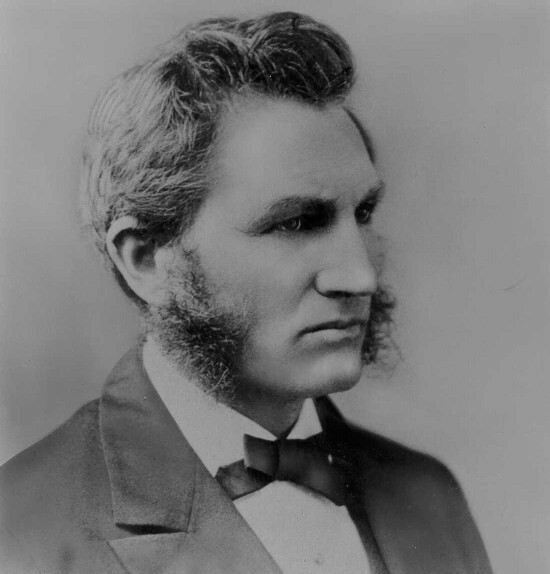 The Development of Sociology in the U.S.
Lester Ward, the first president of the American Sociological Association, is generally thought of as the founder of American sociological study. Ward was a positivist who saw sociology as a scientific tool to improve life. He criticized laissez-faire theories and Spencer’s survival of the fittest theory and developed his own theory of social liberalism. Ward believed that in large, complex, and rapidly growing societies, human freedom could only be achieved with the assistance of a strong, democratic government acting in the interest of the individual. Ward had a strong influence on a rising generation of progressive political leaders, including on the administrations of Presidents Theodore Roosevelt, Woodrow Wilson, and Franklin D. Roosevelt and on the modern Democratic Party. American Sociological Association: The American Sociological Association (ASA), founded in 1905 as the American Sociological Society, is a non-profit organization dedicated to advancing the discipline and profession of sociology. Social liberalism: The belief that the legitimate role of the state includes addressing economic and social issues, such as unemployment, health care, and education while simultaneously expanding civil rights; this belief supports capitalism but rejects unchecked laissez-faire economics. Lester Ward is generally thought of as the founder of American sociological study. He served as the first president of the American Sociological Society, which was founded in 1905 (and which later changed its name to its current form, the American Sociological Association ), and was appointed Chair of Sociology at Brown University in 1906. Like Comte and the positivist founders of sociology, Ward embraced the scientific ethos. In 1883, Ward published his two-volume,1,200 page Dynamic Sociology, Or Applied Social Science as Based Upon Statistical Sociology and the Less Complex Sciences, with which he hoped to establish the central importance of experimentation and the scientific method to the field of sociology. Thus, Ward embodied what would become a distinctive characteristic of American sociology. Though devoted to developing sociology as a rigorous science, he also believed sociology had unique potential as a tool to better society. He believed that the scientific methodology of sociology should be deployed in the interest of resolving practical, real-world problems, such as poverty, which he theorized could be minimized or eliminated by systematic intervention in society. Ward is most often remembered for his criticism of the laissez-faire theories advanced by Herbert Spencer and popular among his contemporaries. Spencer had argued that society would naturally evolve and progress while allowing the survival of the fittest and weeding out the socially unfit. Thus, social ills such as poverty would be naturally alleviated as the unfit poor were selected against; no intervention was necessary. Though originated by Spencer, these ideas were advanced in the United States by William Graham Sumner, an economist and sociologist at Yale. Ward disagreed with Spencer and Sumner and, in contrast to their laissez-faire approach, promoted active intervention. As a political approach, Ward’s system became known as “social liberalism,” as distinguished from the classical liberalism of the 18th and 19th centuries. While classical liberalism (featuring such thinkers as Adam Smith and John Stuart Mill) had sought prosperity and progress through laissez-faire policies, Ward’s “American social liberalism” sought to enhance social progress through direct government intervention. Ward believed that in large, complex, and rapidly growing societies, human freedom could only be achieved with the assistance of a strong democratic government acting in the interest of the individual. The characteristic element of Ward’s thinking was his faith that government, acting on the empirical and scientifically based findings of the science of sociology, could be harnessed to create a near Utopian social order. Ward had a strong influence on a rising generation of progressive political leaders, including on the administrations of Presidents Theodore Roosevelt, Woodrow Wilson, and Franklin D. Roosevelt and on the modern Democratic Party. He has, in fact, been called “the father of the modern welfare state. ” The liberalism of the Democrats today is not that of Smith and Mill, which stressed non-interference from the government in economic issues, but of Ward, which stressed the unique position of government to effect positive change. While Roosevelt’s experiments in social engineering were popular and effective, the full effect of the forces Ward set in motion came to bear half a century after his death, in the Great Society programs of President Lyndon B. Johnson and the Vietnam war. Despite Ward’s impressive political legacy, he has been largely written out of the history of sociology. The thing that made Ward most attractive in the 19th century, his criticism of laissez faire, made him seem dangerously radical to the ever-cautious academic community in early 20th century America. This perception was strengthened by the growing socialist movement in the United States, led by the Marxist Russian Revolution and the rise of Nazism in Europe. Ward was basically replaced by Durkheim in the history books, which was easily accomplished because Durkheim’s views were similar to Ward’s but without the relentless criticism of lassiez faire and without Ward’s calls for a strong, central government and “social engineering”. In 1937, Talcott Parsons, the Harvard sociologist and functionalist who almost single-handedly set American sociology’s academic curriculum in the mid-20th century, wrote that “Spencer is dead,” thereby dismissing not only Spencer but also Spencer’s most powerful critic. Lester Ward: Lester Ward, the first president of the American Sociological Association, is generally thought of as the founder of American sociological study.